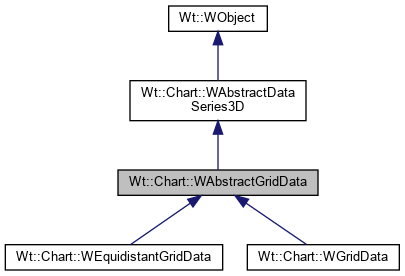 General information can be found at WAbstractDataSeries3D. Information on how the model is structured is provided in the subclasses. GridData can be represented in three ways. This is indicated by Series3DType and can be either PointSeries3D, SurfaceSeries3D or BarSeries3D. Note that points and surfaces can only be added to charts of type ScatterPlot, while bars can only be added to charts of type CategoryChart. This option only takes effect when the type of this WGridData is BarSeries3D. The values provided should be between 0 and 1, where 1 lets the bars each take up 1/(nb of x/y-values) of the axis. This only affects data series whose type is SurfaceSeries3D. The isolines are only drawn if the type is SurfaceSeries3D. If the colormap has no parent yet, then ownership is transferred to this WAbstractGridData, and thus the validator will be deleted together with the WAbstractGridData. Isolines are drawn on the top or ground plane of the chart. Only applies if the type is SurfaceSeries3D. Used when drawing the mesh on a surface or the lines around bars. The default is a default constructed WPen (black and one pixel wide). The default value is false. This option only takes effect when the type of this WGridData is SurfaceSeries3D. The mesh is drawn at the position of the x-axis and y-axis values. 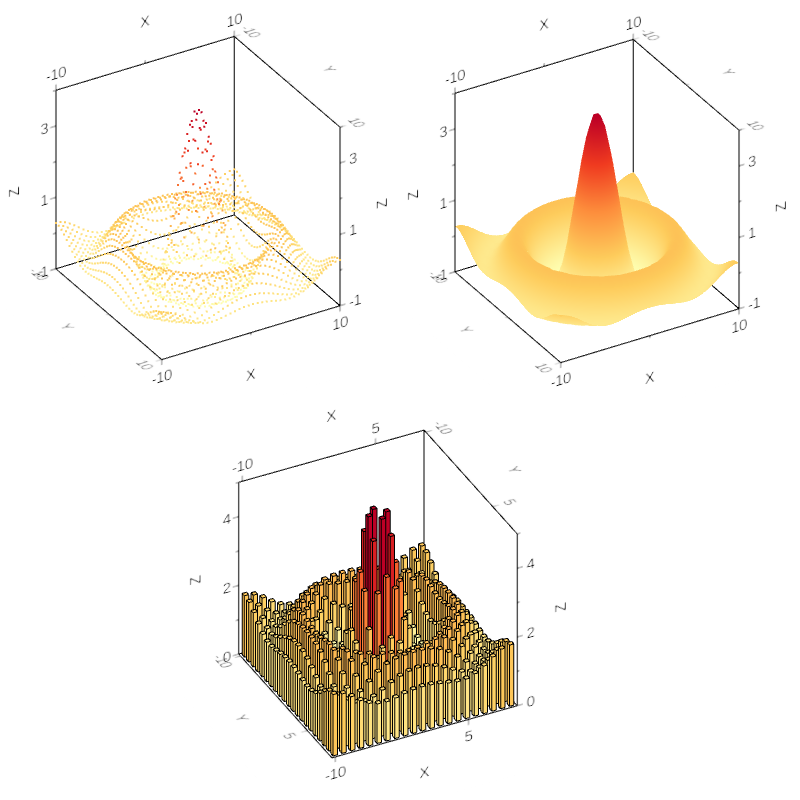 All representations in Series3DType are possible for the data. Note that PointSeries3D and SurfaceSeries3D can only be used on a chart that is configured as a ScatterPlot and BarSeries3D can only be used on a chart that is configured to be a CategoryChart. The default value is PointSeries3D.